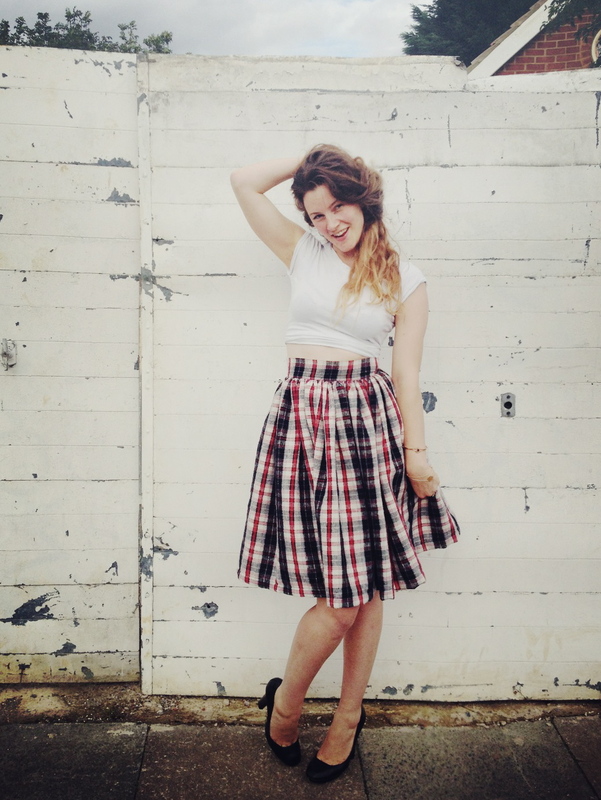 Observant types amongst you may have noticed that here at By Hand Studios, we love making skirts. A quick project with infinite possibilities, minimal drafting required (omitting wiggle skirts of course), and best of all – so damn easy. So far we’ve taken you deep into the world of Pi and de-mystified the mathematics of circle skirts, shown you how to hack up your man’s flannel shirt to make a slouchy flannel skirt for you, and transformed a charity shop pillowcase into a breezy button-down skirt. 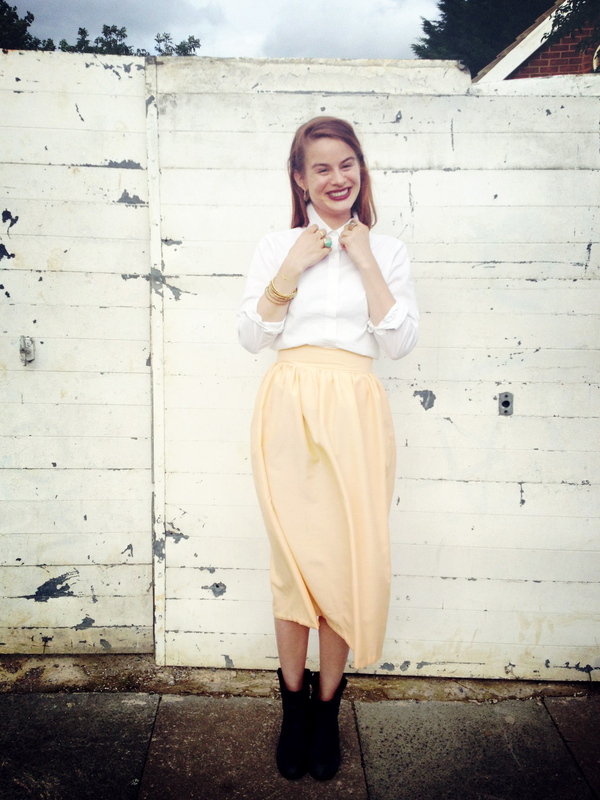 And now that we’ve broken down the bare bones of skirt construction with our tutorials on invisible zipper insertion and the perfect waistband, we thought it only fitting to take you through some of our favourite go-to skirts to sew (and beef up our own me-made wardrobes at the same time!). First up, and following on swiftly from our 3 ways to gather tutorial… yup, you guessed it – the gathered, or Dirndl skirt. 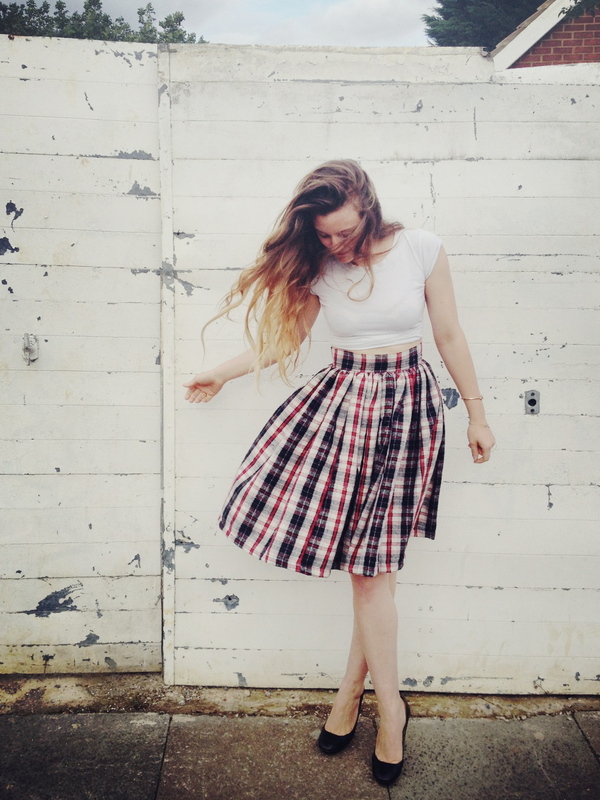 A firm favourite with lovers of vintage, it’s pretty hard to go wrong with a gathered skirt. Waist-cinching, enhancing (or giving the illusion of) a juicy bottom (we love a juicy bottom), and equally cute made up mini, midi or maxi. Decide how full you want your skirt: a really pouffy skirt will require a length of fabric at least three times the length of your waistline measurement, and for a minimally pouffy look, cut twice the length of your waist. Bear in mind, you want to be cutting your fabric on the straight grain – check that the individual threads that make up your fabric are running parallel and at a right angle to your edges. 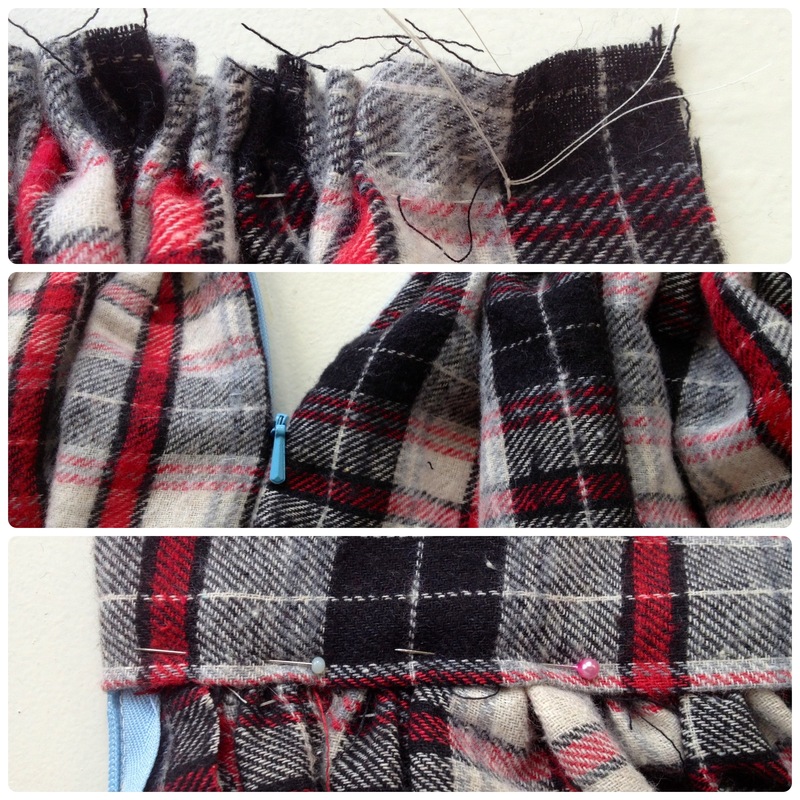 Gather the topline of your fabric – please see here for gathering how-to. Be sure to secure your gathers once you have checked that the topline matches your waistline and that the gathers are evenly spaced. Insert an invisible zipper and close up your back seam (or side seam if you want the zip at the side). Assemble and attach your waistband. Hem your skirt: having decided on the length, press the hem in by 1/4″ then press in again by 1/4″ and either blindstitch by hand or finish off by machine with a regular straight stitch or even a decorative sitich and contrasting thread. All done!! Victoria made: red cotton gathered miniskirt with contrast elasticated waistband & red silk velvet gathered skirt with leather front-fastening waistband; Charlotte made: peach cotton gathered midiskirt; Elisalex made: tartan brushed cotton gathered skirt (and later made matching braces to go with it). What a cute group of skirts! Love ’em! Looks like a fun way to spend a birthday! Darling! I love a good dirndl! 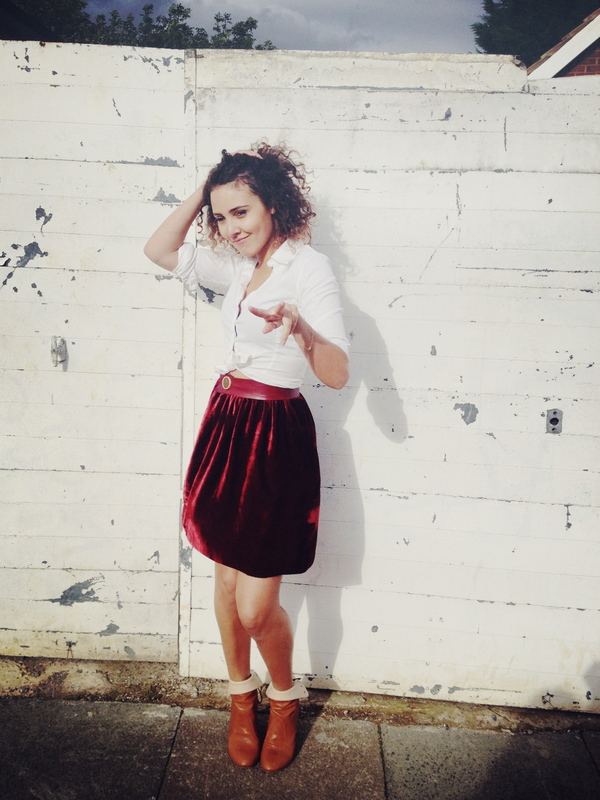 This entry was posted on October 8, 2012 by byhandlondon in DIY, Sewing tutorial and tagged diy, gathering, ruching, sewing, skirt, tutorial.